Two winning basketball games, burgers, a live band and more! That’s what students, alumni and the community enjoyed at Homecoming 2018 celebration, Saturday, Dec. 1. This year’s festivities featured a doubleheader with games by both the women and men’s basketball teams. 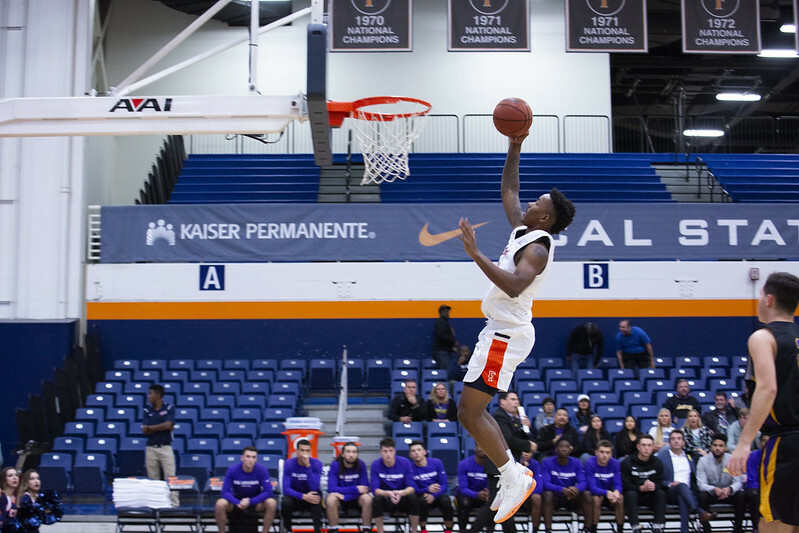 The men’s team beat Cal Lutheran with a final score of 99-60; the women’s team triumphed over Cal State Bakersfield, 64-56. Meanwhile, during the pregame festival, attendees reconnected with former classmates, met current students and families, and enjoyed burgers and chips provided by In-N-Out Burger. A beer garden with brews (and wine), provided by Bootlegger’s Brewery, was another attraction. Pregame entertainment featured the live band, Wild Adults, who entertained the crowd with the sounds of classic rock. Meanwhile, Tuffy Titan made the rounds, posing for photos with delighted guests.